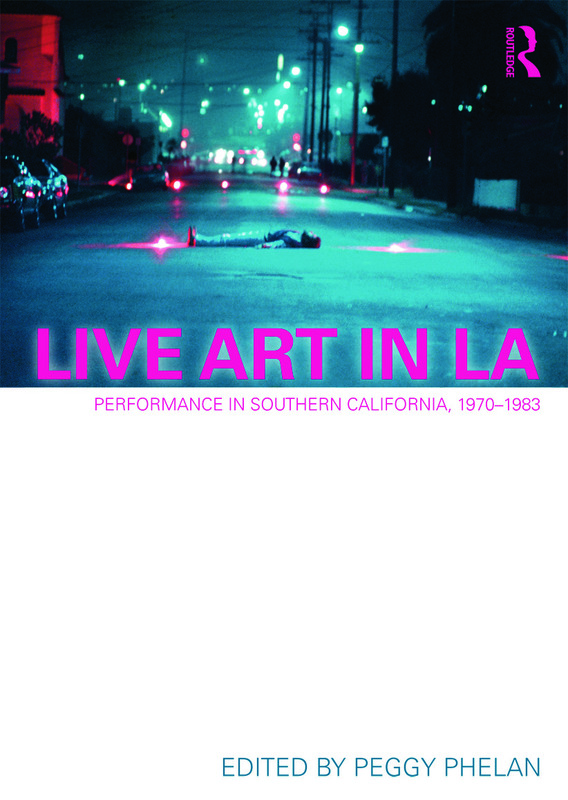 Live Art in LA: Performance Art in Southern California , 1970-1983 documents and critically examines one of the most fecund periods in the history of live art. The book forms part of the Getty Institute’s Pacific Standard Time initiative – a series of exhibitions, performance re-enactments and research projects focused on the greater Los Angeles area. This extraordinary volume, beautifully edited by one of the leading scholars in the field, makes vivid the compelling drama of performance history on the west coast. features original and incisive essays by Peggy Phelan and Amelia Jones, and eloquent contributions by Michael Ned Holte, Suzanne Lacy and Jennifer Flores Sternad. Combining cutting-edge research with over 100 challenging and provocative photographs and video stills, Live Art in LA represents a major re-evaluation of a crucial moment in performance history. And, as performance studies becomes ever more relevant to the history of art, promises to become a vital and enduring resource for students, academics and artists alike.